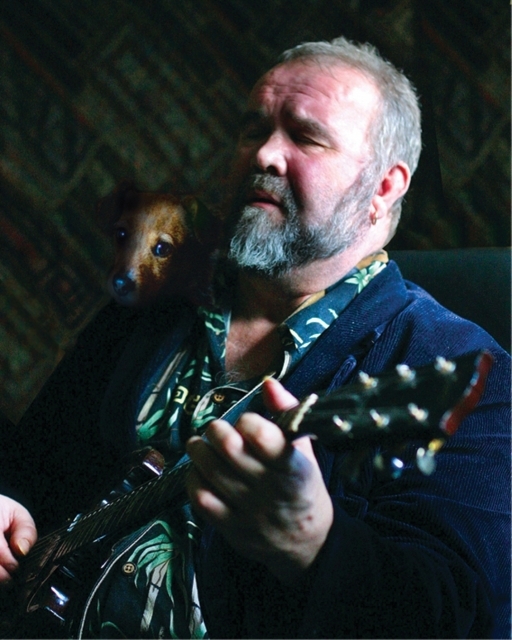 This album comprises the last recordings John Martyn made before his death in January 2009. Most of it was made in the wheelchair-bound Martyn's own home, but, for the most part, the tracks don't sound at all home-made (with the exception of the moment when his dog, Gizmo, starts barking: "I even brought the dog with me," Martyn immediately improvises). The sleeve contains the claim that "all the tracks on this recording were kept as John wished - in their entirety", which sounds pretty conclusive, until you realise that it says nothing at all about what might have been added to the original sessions. We know Phil Collins later added backing vocals to Martyn's cover of his Can't Turn Back The Years, but this is a welcome addition, as the pair were old mates and frequent collaborators. It's the highlight of the album, along with Martyn's own Could've Told You Before I Met You, with its propulsive rhythm and the slinkiest of soul guitar lines. Admittedly, his voice is just a growl now, and some of the tracks are more like extended jams than the finished article, but, if Van Morrison were busy, I can't think of anyone I would rather hear growl over extended jams than Martyn, especially on Colour ("Stole all my colours/ And left me blue") and Willing To Work, where his voice and guitar compete to see which can sound most like a Ben Webster saxophone solo. The voice wins.